Who could resist a good ridge? Stony tightropes stringing the peaks, gap-toothed like jawbones, chiselled crests spearing out of sea surge or corrie shadow ? 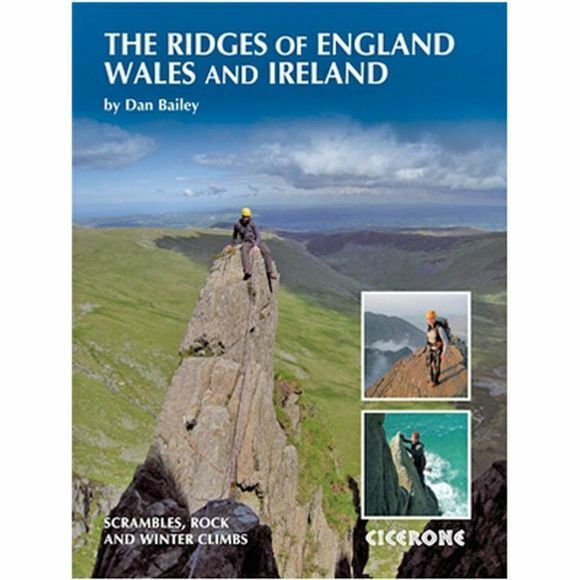 these are the stuff of climbing dreams.This book complements Cicerone?s popular Scotland?s Mountain Ridges, describing and celebrating the best routes of this type across the rest of Britain and Ireland, and bringing them all together in one place for the first time. Ranging from balmy (and occasionally barmy) seaside trips and roadside quick fixes to strenuous snowy days in the high hills, the selection described here reflects the diversity of mountaineering and traditional climbing in our islands, and the dazzling patchwork of contrasting landscapes in which these adventures can be enjoyed.There?s a new adventure for everyone here ? scrambling beginners and experienced climbers alike.